Proton Almost All Models (1990-2015). Genuine4 Pin Black Relay / Multi Use Relay. Fits both LHD & RHD cars. Good Working Order. This is fully working, and will also fit 90s Colt and Lancers too. 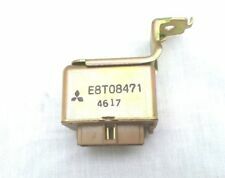 Fully working ECU and Fuel Pump Relay for Early Mitsubishi type Protons. NAiS Part Number:ACM33221 M03. Proton Almost All Models (1990-2015). 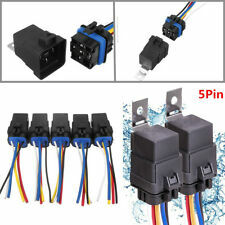 Genuine4 Pin Black Relay / Multi Use Relay. Good Working Order. PART NUMBER: PW546170 52010551. WE HELP YOU FOR A HASSLE-FREE, SIMPLE AND EFFICIENT WAY TO HANDLE ANY ISSUES. Proton Impian Relay. This vehicle part was removed from a year 2008 Proton Impian GLS. Removed from a right hand drive car. This is a used part and may have marks and signs of usage. Item is used taken from a used car. Item may have general marks/scratches etc on it, but item is in a good useable condition PayPal only U.K. Only unless you use the eBay GSP (Global Shipping Programme) Item will be sent/collected once payment has been confirmed Collection also available in the Hull area. THIS RELAY IS FROM A YEAR 1998 PROTON COMPACT 3 DOOR HATCHBACK (S.REG) 1.3i 12v (1298cc 4G13P Engine) 5 Speed manual. PROTON IMPIAN 2000-2005 RELAY PW537074 (Removed from a right hand drive car). THIS RELAY IS FROM A YEAR 2004 PROTON IMPIAN 4 DOOR SALOON 1.6i ( Engine Code 4G18) 5 SPEED MANUAL. PROTON IMPIAN 2000-2005 BUZZER RELAY (Removed from a right hand drive car). 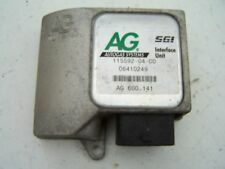 THIS RELAY IS FROM A YEAR 2004 PROTON IMPIAN 4 DOOR SALOON 1.6i ( Engine Code 4G18) 5 SPEED MANUAL. PROTON COMPACT ( SATRIA 1995-2005 )RELAY MD113586 (Removed from a right hand drive car). THIS RELAY IS FROM A YEAR 1998 PROTON COMPACT 3 DOOR HATCHBACK (S.REG) 1.3i 12v (1298cc 4G13P Engine) 5 Speed manual. PROTON Wira 1/ 2000 - 2/ 2001 Diesel: 2.0, 2.0 TDi 4D68, 4D68T. PROTON Wira 1/ 2000 - 12/ 2001 Petrol: 1.3, 1.5, 1.6, 1.8 4G13P, 4G15P, 4G92P, 4G93SOHC. PROTON Persona 11/ 1993 - 12/ 2001 Petrol: 1.3, 1.5, 1.6, 1.8 4G13P, 4G15M, 4G92, 4G93DOHC. Part number: PW851534. We are Breaking a 2008 Proton Savvy. Paint Colour: Genetic Silver. Option can be added at checkout. Removed from the car below but may fit other models/years. Shelf location: CC2. Part number: PW850953. We are Breaking a 2008 Proton Savvy. Paint Colour: Genetic Silver. Option can be added at checkout. Removed from the car below but may fit other models/years. Shelf location: QC3. Proton Impian Pair of Relays. This vehicle part was removed from a year 2008 Proton Impian GLS. This is a used part and may have marks and signs of usage. Proton Almost All Models (1990-2015). 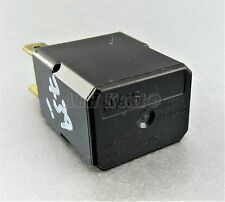 Genuine3-Pin Black Relay / Turn Signal (Flasher) Relay. GenuineProton Part. Good Working Order. Part number: PW851539. We are Breaking a 2008 Proton Savvy. Paint Colour: Genetic Silver. Option can be added at checkout. Removed from the car below but may fit other models/years. Shelf location: 1C16. 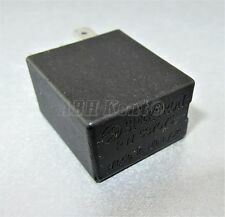 PROTON RELAY 4 PIN PART NR-PW537074 30A 12V. USED AND GOOD WORKING CONDITION. Item is used taken from a used car. Collection also available in the Hull area. TBB53 4DB003750-07. 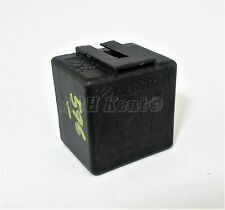 HELLA ELECTRONIC E12E 12 VOLT INDICATOR RELAY. Give us your trust and we'll help you to repair or update your car! Our goal is to make your choice easier and save your money. 08-2015 1984 150 204 CJKA Box. 08-2015 1968 84 114 CAAD Box. 08-2015 1984 110 150 CJKB Box. Proton Almost All Models (1990-2015). Genuine4 Pin Green Relay / Multi Use Relay. Fits both LHD & RHD cars. Good Working Order. one unit (right and left) This Is Removed From 2005 VW GOLF MK5 5DOOR HATCHBACK 2.0 TDI And will fit 2004-2008 VW GOLF MK5 5DOOR HATCHBACK 2.0 TDI. But , I would ask that you double check your own Part Visually before buying/bidding.​ Please note that the above photo is an example Please expect general wear/tear otherwise in good condition Genuine & original Used PARTS, 30 days customer piece of mind. Help us keep your car going for longer! Provide phone number at checkout so courier can text you. Ref G5 1566 916 111 927 ​1014 885 156 1541 521 721 2059 1789 1352 1186 1621 1380 2011 2137​ Any questions please ask, thanks for looking. Proton Almost All Models (1990-2015). Genuine5 Pin Blue Relay / Multi Use Relay. 12V 20A/30A. Good Working Order. PART NO:PW516427. AS ABOVE NEW GENUINE PROTON RELAY! PLUS NEW TYRES & ALLOYS! VW TRANSPORTER Mk III Platform/Chassis 2.1 i Platform/Chassis Petrol 07/1989 07/1992 RWD 8 92 68. BOSCH 0 335 200 038, 0 335 200 041, 0 335 200 050, 0 336 207 006, 0 336 210 001. VW GOLF Mk III (1H1) 1.9 TDI Hatchback Diesel 09/1993 08/1997 FWD 8 90 66. Febi Turn Indicator Relay Proton Vauxhall Carlton Corsa Nova Tigra Chevrol 11574 - Free Delivery from Simply Car Parts - Brand New Febi Bilstein part - 1 Years Manufacturers Warranty. Part number: PW539610. PROTON persona 300. Type: C9. compare also by the part numbers ! The item will be sold, as can be seen in the picture. Key number to 3: 308. Key number to 2: position 7401 forward stanchion. Rated Current (Amp): 92A. Generally speaking, yes! The only problem with mixing oils is that the quality of the better oil is diluted by the lesser one. What colour is oil?. Ester based oils are the top end of oil technology and give the best protection available. Proton Satria GTI, Late ECU and Fuel Pump Relay. Fully working ECU and Fuel Pump Relay for Late Protons. PART NUMBER: MB629084. 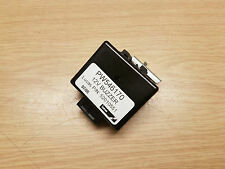 MITSUBISHI FTO SHOGUN PININ PROTON PAJERO SPACE STAR NISSAN RELAY FUSE IN GOOD USED CONDITION. Proton / Mitsubishi Engine Bay Fuse Box Cover. Fits a variety of cars. If you are not sure, please ask. Flasher Unit. Belt Tensioner Wheels & Bkts. Suspension Ball Joints. Rear Lights. Colour: Black. Front Exhausts Cats. Estimates can be provided beforehand but prices may differ upon ordering. The compatibility is only a guide. VW TRANSPORTER Mk III Platform/Chassis 2.1 Syncro Platform/Chassis Petrol 08/1985 07/1992 AWD 8 95 70. VW GOLF Mk III (1H1) 1.9 TDI Hatchback Diesel 04/1996 08/1997 FWD 8 110 81. SEAT AROSA (6H) 1.0 Hatchback Petrol 10/1998 01/2001 FWD 8 50 37.